With this set for the sectors of heating engineering, sanitation, refrigeration and air conditioning technology, you will be ready to begin work straight away. 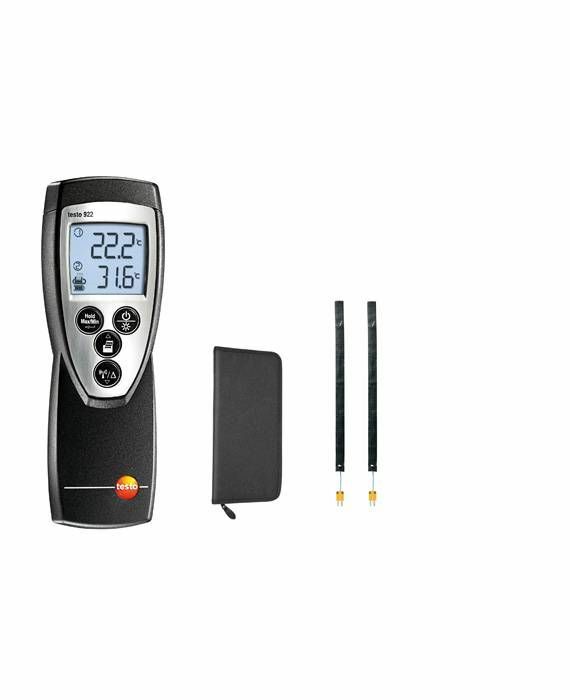 With its two connectable probes, the 2-channel testo 922 temperature measuring instrument measures temperatures in parallel and can determine the differential temperature in a matter of seconds. Once the measurement is complete, you can safely store your equipment in the handy bag supplied.